Have you ever been on a fully supported bike tour? Imagine riding your bike each day across iconic landscapes, where all you do is rise to breakfast, dress and then roll-out to enjoy a day in the saddle where the route finding, aid stations, baggage and hotels are taken care of. To view our Road and Mountain Bike Tours, open the drop down menu or view our Spring/Autumn Tour Calendar or our Summer Tour Calendar for confirmed departures. We probably did our first (Lizard Head) trip about 8 years ago or so. The guides accommodate everyone, and not to the expense of others. 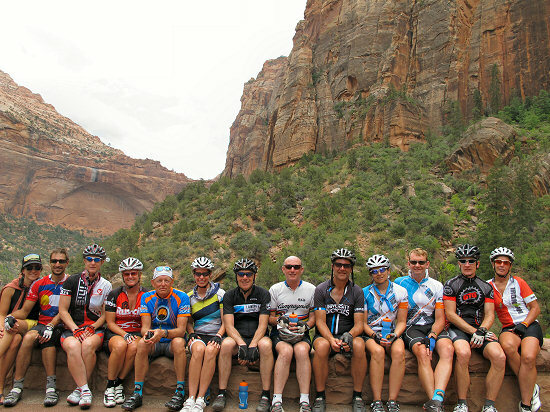 – Barb S.
Join us for memorable cycling adventures!